What kind of Affiliates do you have? Should I approve all Affiliates that apply to my program? How can I build up my Affiliate base? These are all great questions that I’m going to discuss today! 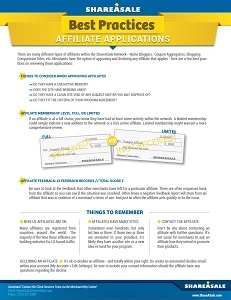 ShareASale has a wide variety of Affiliates on the network. Types of Affiliates include search engine players, niche content publishers, bloggers, email marketers, SEO friendly sites, reviewers, managed couponers, social media Affiliates, and more! Content Affiliates are often great for driving new, valuable traffic to your website. It is very important to provide these Affiliates with a diverse creative inventory as well as a robust and up-to-date product datafeed. Coupon Affiliates can also bring amazing benefits to your program. Provide these Affiliates with coupons and specialty deals in the Coupons & Deals Database. At first, most new Merchants feel bombarded with applications from Couponers. Not to fret, learn more about the initial Coupon Application Tidal Wave Here. Social Affiliates may not be as fluent in Affiliate Marketing, but our with Storefronts feature, these Affiliates can setup an Affiliate site in a matter of minutes. Social Affiliates could be a fundraising group, the local PTA, your kid’s basketball team or any association that is looking for fundraising solutions! Segmentation and organization becomes incredibly important with such a mix of Affiliates. I recommend Merchants utilize ShareASale’s tag feature to segment and group their Affiliate base. Merchants can send out newsletters, create coupons, assign bonuses and designate banners… all by tag! 1. Are the links working on their site? 2. Is there anything that you disapprove of on their site? 3. Do they fit the criteria of your program agreement? 4. What is their current status with ShareASale? To save time approving or declining applications, Merchants can setup Auto-Approval Rules that will filter out only those Affiliates who meet a Merchants’ predefined criteria. 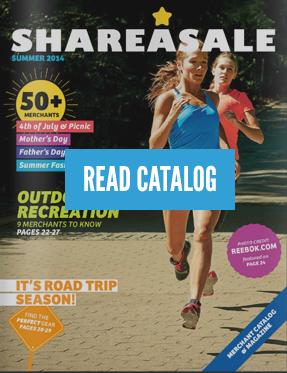 ShareASale has over 15 available filters, with additional filters upon request. And remember, communication is key! If you have any questions about how an Affiliate will promote your site, ask them! This article includes 10 steps on how to get Affiliates to notice your program and increase the likelihood that they will join your program. This post focuses on the individual segments that make up Affiliate Marketing. While not an exhaustive list, hopefully this post will give you ideas on how to build up your Affiliate base, and what each individual segment cares about the most! It would seem obvious that, as a Merchant, it is important to consistently motivate and encourage Affiliates to participate in an Affiliate program. ShareASale has a number of tools that can help make this a much simpler process and can help make any program unique. More questions? Visit the ShareASale Wiki for advice from experts!